Well Osh Zen calls a spade a spade, huh? The 9 of Cups is “laziness” here, but it’s a happy laziness. Hello, Taurus season! How are you? One thing I’ve had to remind myself over and over again, that “me time” is kind of important. It counts. Today, carve yourself out some as you desire. You can say Dixie said so. I don’t know who will give a $%$ that Dixie said so. But she does! There is bonding to be had, or clarity, or stress reduction, or inspiration, or who knows what sort of serendipity will be born? I know we have responsibilities and I’m not telling you to call off them. I’m saying “joy” needs to be on the list. Schedule a session with Dixie. It’s a wonderful indulgence! Well, that New Moon Eclipse in Taurus would surely approve of the King of Pentacles in the avatar of Abundance. This guy knows the good life and is not afraid to live it! My advice for the day? Eat well, sleep well, and appreciate the Hell out of all you have. Don’t you know there are people that don’t have what you do? Whatever “it” is , whatever is valuable to you, whatever means the most to you, someone doesn’t have it. Whether your something is enough food, a safe place to be, supportive family, good friends, a cute kid, a purring pet, health, a strong mind, what-ev-er! Just don’t be that someone else who is taking it for granted, man. Appreciate the beauty in your life today, and let your heart swell with gratitude for it. That puts you in the right frame of mind for setting your intentions. Know whatever intention you are setting at this time is being etched in stone—expect it to be solid, unmovable and long-lasting. So make sure it is born of a loving heart. Can you find “the good life” in your now life? Follow Dixie and the Everyday Tarot on Twitter, YouTube or at Woo Woo Wonderful! Or just schedule a Tarot session. Today looking at the Zodiac Tarot’s version of the Hierophant inverted, the phrase that pops to mind is “oppressive religion.” I know a thing or two about oppressive religion. I’ve lived it. Don’t get me wrong. I don’t begrudge people their faith—even faiths that I personally consider oppressive. However someone gets their spiritual juice, I’m not in a rush to judge. That was my door prize for leaving the temple of oppressive religion: understanding the sacred nature of following your own path. And you know, there are many kinds of “religion,” too. Politics can be a religion; healthy eating can be a religion. I mean, it’s endless, what can be a religion. Basically we’re talking belief preached from the voice of authority, usually with an undertone of righteousness. Today, I want to suggest you do a gut check around anyone (or any institution) that claims to be holier-than-thou. Don’t down that sacrament without scrutiny. Much like you may notice about snake oil salesman of all stripes, those who are honest and true usually don’t need to constantly assert the same. Their works stand up for who they are. I’m looking for freedom myself. So, for the Everyday Tarot forecast, I said, “Let go and be glad.” Lilliput asked a really good question. I know, right? It’s not always easy. Remember, one of the cards I was looking at was the Hierophant. That would suggest to me emulating your teachers, calling upon your faith or path, whatever it is. The Hierophant is also associated with Taurus, so physical comforts are helpful. For me, I pray, specifically turning over my worries to God/the Universe/the Angels/Ganesh/my guides, just whome/dixiblog/domains/afoolsjourney.com/public_htmlver I am moved to call upon at the time. If it have trouble getting it out of my head, I write it out. Journal, write a letter to the spirits, write a letter to the person whom I’m having trouble with (always in the 3rd person, actually, like sending off the energy in an energetic message). If I’m strung out by the stress, I never go wrong with the Taurus-approved nap option! As far as being glad, one of the fastest, easiest ways to raise my vibration is spend some time working on a gratitude list. Yes, I know it sounds trite, but listing out as many things as I can find to be thankful for in the moment, spending a few minutes really FEELING that thankfulness, helps tremendously. Try it, you’ll see what I mean. I also find music is a wonderful aid in lifting my vibration. And baths or showers. I set my intention to wash that gunk right off me! And meditation. And reading. Those are some of my favorites. How do YOU let go and be glad? Part of my gig in doing Tarot work is ongoing learning. It’s a staggering responsibility, reading for others. I feel very strongly that if I am to take that on, I have to do the best job I know how. So it behooves me to seek ongoing opportunities for improvement and advancing my skills. I take it very seriously. Fortunately, Tarot has a suggestion! Today’s Tarot is the Hierophant, also known as Magus of the Eternal Gods, associated with Taurus. He usually represents stable, established (Taurus) religious or spiritual traditions. The spiritual school of thought he represents does not have to be strictly conventional, although they often are and he can show up to refer to established, old-school traditions specifically. But not always. He is the counterpart to the High Priestess—while she represents the inner-directed world of mysticism and secret, he shares the same energy with the outer world. He is leader of a community, the wise old man, the shaman, the pope, the elder who shares his wisdom with others. There are countless avenues to do just this. I may participate in professional Tarot groups. 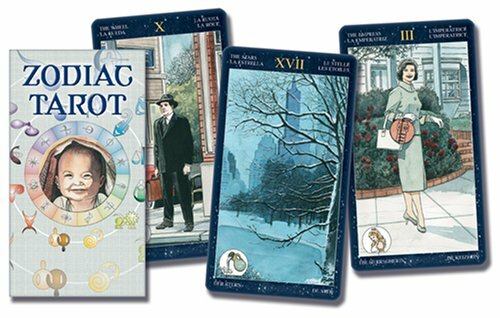 I may study the Tarot classics, or pursue ongoing education in fields like Astrology, Numerology or various Esoteric systems. I may engage in Magic work, learn about Chakras, observe Wiccan holidays, or simply learn from others who walk a more formal path than do I. There are as many ways to honor the knowledge and traditions that have come before as there are people wanting to do so. So I let enthusiasm and joy guide me to where I need to go. The Hierophant would have us study and learn from established traditions, using this knowledge to discover practical applications of our values. Look for leadership, a mentor, or authorities to help you grow. Keep your eyes peeled for a teacher or guide, bringing just what you needed to move forward more quickly and confidently. The main thing is look for help making your spiritual life more meaningful and fulfilling on a day-to-day basis. The Hierophant is all about wisdom and light that is shared. Do you have a Hierophant in your life? 09/22/11: Firm Foundations with Taurus. One of my rules for the “Everyday Tarot” is that whatever I get, that’s what I work with for the day. I can hardly advocate looking to the cards for insight if I’m not willing to look at the insight the cards provide! But today, my first draw was so obviously about me-me-me, I wondered if I’d done my job properly. Had I remembered to ask specifically for the column? I should try again, make sure I wasn’t “leaking” over the daily draw. As usual, when you try to maneuver around Tarot–well, Tarot maneuvers right back. I didn’t get the same exact cards as often happens, but they were close enough. Today’s Tarot forecast is “Firm Foundation” (aka the Four of Pentacles /Sun in Taurus) and “Patience and Planning” (Seven of Pentacles /Saturn in Taurus). Taurus much? Jupiter’s in Taurus currently, expanding whatever it touches. Taurus is ruled by Venus and associated with the second house in Astrology, what we value, both possessions and self-worth. Taurus is an Earth sign, so I think in terms of physical manifestations. Having what you value, being valued, and self-value are all areas of focus. Taurus in the bull—it’s hard to surpass in terms of stability. Fixed, fixed, fixed energy! So the times I worry and wonder, am I doing well enough with my work? Am I doing justice to the folks I come in contact with? Am I growing my skills fast enough? The answer is, “Yes.” Anywhere, really, that I may wonder if I’m contributing well enough, well, that foundation is good, so this is a go. These two cards have a reassuring message today: We do, indeed, have what we need. The work done thus far has been effective in laying foundation for rewards, even if the crops aren’t yet quite in. In due time, grasshopper. Exhale. It’s all okay. Are your foundations looking firm?